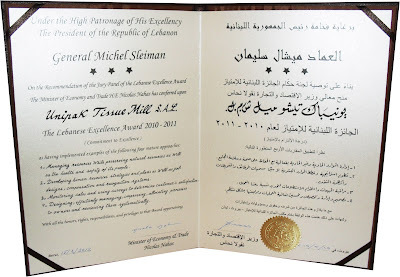 Unipak Tissue Mill (UTM), located in Halat, Lebanon, receives recognition for commitment to excellence and dedication to community and environment. 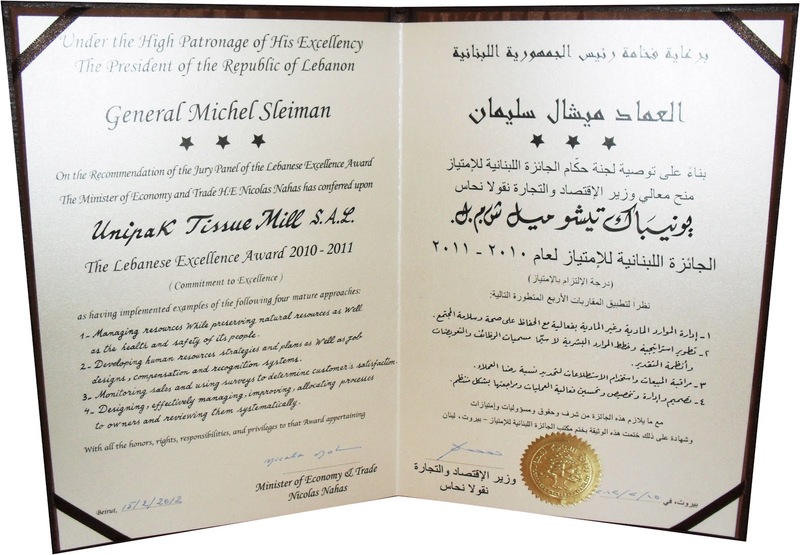 For the second consecutive year, the Lebanese Ministry of Economy & Trade honors Unipak Tissue Mill with the Lebanese Excellence Award 2010 – 2011. 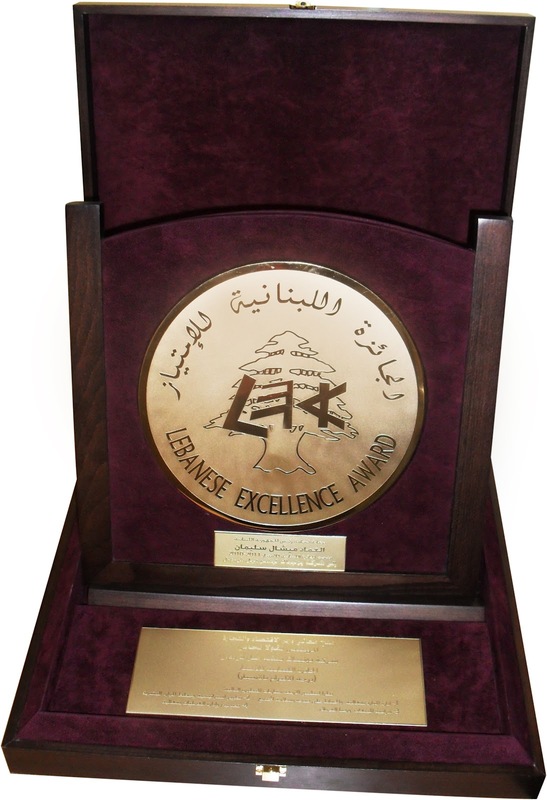 The Lebanon-based manufacturer of jumbo tissue rolls received the award for contributions to environment, quality, and human resources. 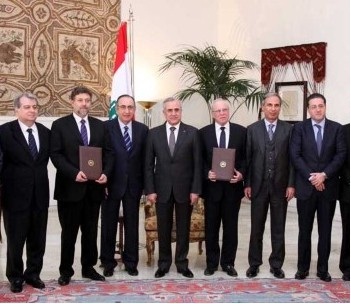 QUALEB, a European Union-funded project and division of the Lebanese Ministry of Economy & Trade, managed the 2010 – 2011 award program. QUALEB provides the necessary support and guidance to sustain quality in Lebanon.